Thanks to a collaboration between the Companies & Intellectual Properties Commission (CIPC), the ZA Domain Name Authority (ZADNA) and the ZA Central Registry NPC (ZACR), a new company can register its name and relevant co.za domain name at the same time. 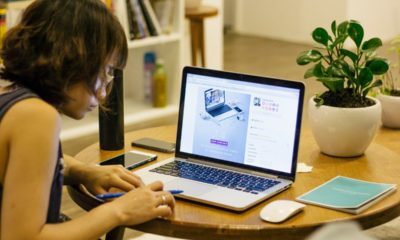 Start-ups now have greater control over their Intellectual Property (IP) following collaboration between the Companies & Intellectual Properties Commission (CIPC), the ZA Domain Name Authority (ZADNA) and the ZA Central Registry NPC (ZACR) that makes it possible to register a new company and its equivalent co.za domain name at the same time. In terms of this model, the CIPC Registrar has limited functionality and simply acts as a conduit to the co.za domain name registration platform. The CIPC Registrar does not enjoy all the capabilities of the normal.ZA-accredited commercial domain name RaR (Reseller and Registrar) and does not derive any financial benefit for facilitating such registrations. “Nor will the CIPC Registrar compete with existing RaRs,” says Mr Masilela. “The initial co.za domain name registration with CIPC is for a limited one-year period only and registrants are expected to pay the same domain name price that is charged to all our other accredited co.za registrars. CIPC-registered co.za domain names will need to be transferred to commercial domain name RaR’s to enable full functionality and renewal,” explains Mr Masilela. Additional support, renewal of domain names and hosting services can only be purchased from the greater community of accredited RaRs. Established in terms of South Africa’s ECT Act, ZADNA regulates.ZA – South Africa’s country code Top Level Domain names (ccTLD’s). ZACR, for its part, is a pioneer of the local and international domain name space and the administrator of such domains as co.za, the three cities’ geographic Top Level Domains (gTLDs) of .joburg (‘dotJoburg’), .capetown (‘dotCapeTown’) and .durban (‘dotDurban’), as well as the administrator of the .africa (‘dotAfrica’) gTLD, through its wholly-owned subsidiary, Registry Africa. CIPC is a 2017 CPSI Innovative Service Delivery Award winner focusing on consumer-driven initiatives aimed at facilitating and promoting the registration and maintenance of companies, co-operatives and protection of intellectual property rights. “This is a fantastic example of domain name space pioneering coupled with out-the-box thinking in the area of public-private partnerships. We thank our partners and look forward to launching further innovative services for new enterprises, start-ups and other commercial users in the near future,” concluded Mr Masilela. 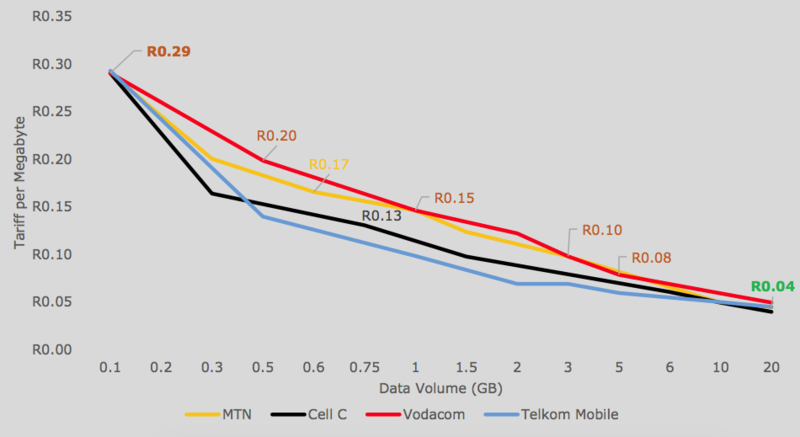 The latest bi-annual tariff analysis report produced by the Independent Communications Authority of South Africa (ICASA) reveals that Telkom Mobile data costs for bundles are two-thirds lower than those of Vodacom and MTN. On the other hand, Rain is half the price again of Telkom. The report focuses on the 163 tariff notifications lodged with ICASA during the period 1 July 2018 to 31 December 2018. 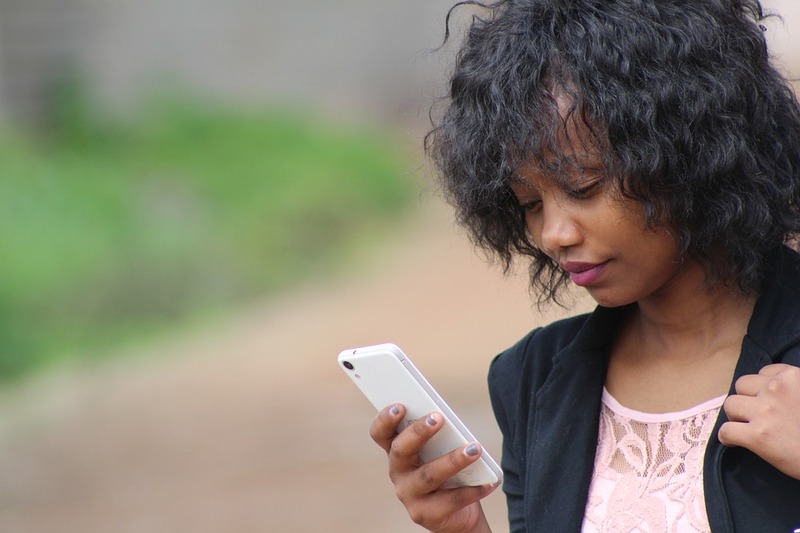 “It seeks to ensure that there is retail price transparency within the electronic communications sector, the purpose of which is to enable consumers to make an informed choice, in terms of tariff plan preferences and/or preferred service providers based on their different offerings,” said Icasa. ICASA says it observed the competitiveness between licensees in terms of the number of promotions that were on offer in the market, with 31 promotions launched during the period. The report shows that MTN and Vodacom charge the same prices for a 1GB and a 3GB data bundle at R149 and R299 respectively. On the other hand, Telkom Mobile charges (for similar-sized data bundles) R100 (1GB) and R201 (3GB). Cell C discontinued its 1GB bundle, which was replaced with a 1.5GB bundle offered at the same price as the replaced 1GB data bundle at R149. 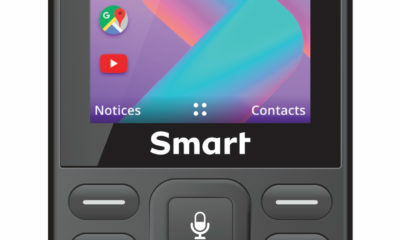 Rain’s “One Plan Package” prepaid mobile data offering of R50 for a 1GB bundle remains the most affordable when compared to the offers from other MNOs (Mobile Network Operators) and MVNOs (Mobile Virtual Network Operators). “This development should have a positive impact on customers’ pockets as they are paying less compared to similar data bundles and increases choice,” said Icasa. 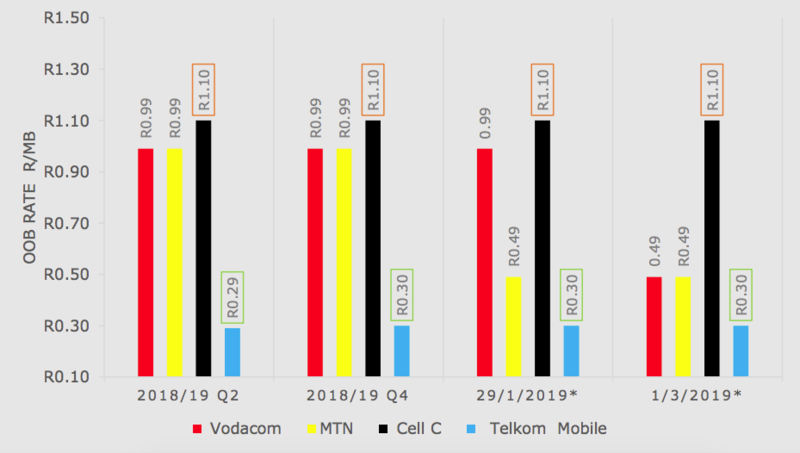 The report also revealed that the cost of out-of-bundle data had halved at both MTN and Vodacom, from 99c per Megabyte a year ago to 49c per Megabyte in the first quarter of this year. This was still two thirds more expensive than Telkom Mobile, which has charged 29c per Megabyte throughout this period (see graph below). Meanwhile, from having positioned itself as consumer champion in recent years, Cell C has fallen on hard times, image-wise: it is by far the most expensive mobile network for out-of-bundle data, at R1.10 per Megabyte. Its prices have not budged in the past year. The report highlights the disparities between the haves and have-nots in the dramatically plummeting cost of data per Megabyte as one buys bigger and bigger bundles on a 30-day basis (see graph below). For 20 Gigabyte bundles, all mobile operators are in effect charging 4c per Megabyte. Only at that level do costs come in at under Rain’s standard tariffs regardless of use. Last week’s shock announcement by Intel that it was canning its 5G modem business leaves the American market wide open to Qualcomm, in the wake of the latter winning a bruising patent war with Apple. Intel Corporation announced its intention to “exit the 5G smartphone modem business and complete an assessment of the opportunities for 4G and 5G modems in PCs, internet of things devices and other data-centric devices”. Intel said it would also continue to invest in its 5G network infrastructure business, sharpening its focus on a market expected to be dominated by Huawei, Nokia and Ericsson. Intel said it would continue to meet current customer commitments for its existing 4G smartphone modem product line, but did not expect to launch 5G modem products in the smartphone space, including those originally planned for launches in 2020. In other words, it would no longer be supplying chips for iPhones and iPads in competition with Qualcomm. 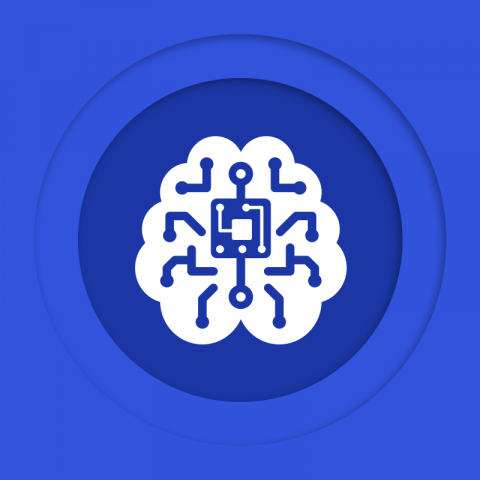 The news came immediately after Qualcomm and Apple issued a joint announced of an agreement to dismiss all litigation between the two companies worldwide. The settlement includes a payment from Apple to Qualcomm, along with a six-year license agreement, and a multiyear chipset supply agreement. Apple had previously accused Qualcomm of abusing its dominant position in modem chips for smartphones and charging excessive license fees. It ordered its contract manufacturers, first, to stop paying Qualcomm for the chips, and then to stop using the chips altogether, turning instead to Intel. With Apple paying up and Intel pulling out, Qualcomm is suddenly in the pound seats. It shares hit their highest levels in five years after the announcements. Meanwhile, Strategy Analytics released a report on the same day that showed Ericsson, Huawei and Nokia will lead the market in core 5G infrastructure, namely Radio Access Network (RAN) equipment, by 2023 as the 5G market takes off. Huawei is expected to have the edge as a result of the vast scale of the early 5G market in China and its long term steady investment in R&D. According to a report entitled “Comparison and 2023 5G Global Market Potential for leading 5G RAN Vendors – Ericsson, Huawei and Nokia”, two outliers, Samsung and ZTE, are expected to expand their global presence alongside emerging vendors as competition heats up. Is XR the new VR?